The dog breeds with the longest life expectancies are all small breeds. It does not even make a lot of sense, since in the wild large animals tend to live a lot longer than small animals. Elephants live longer than mice, and blue whales live longer than bottlenose dolphins. 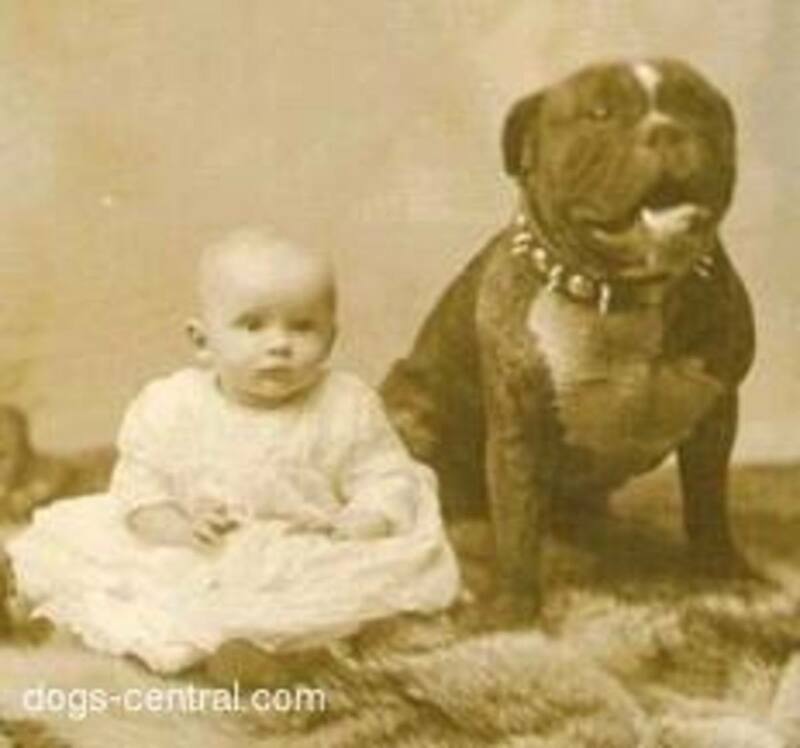 Among dogs, though, the big breeds have to grow really fast. That may be one reason that they die so young. Some very skinny large dogs like the Azawakh and Greyhound also have long lifespans. If you like medium sized breeds, a skinny dog like the Whippet has a long lifespan and is also good for someone that is away from home all day at work. There are many other medium sized dogs with longer lives, but of course not all of them are as calm and quiet as the Whippet. This interesting large dog breed is being developed to look like the Dire Wolf, an extinct animal that roamed the Paleolithic countryside and feasted on the strange wild animals of that time. Like the Dire Wolf, the dogs are being bred to be big, usually at least 90 pounds. They are also being bred to be healthy and live a long time, like a wolf. A wolf can easily live 20 years. Why can´t a dog? 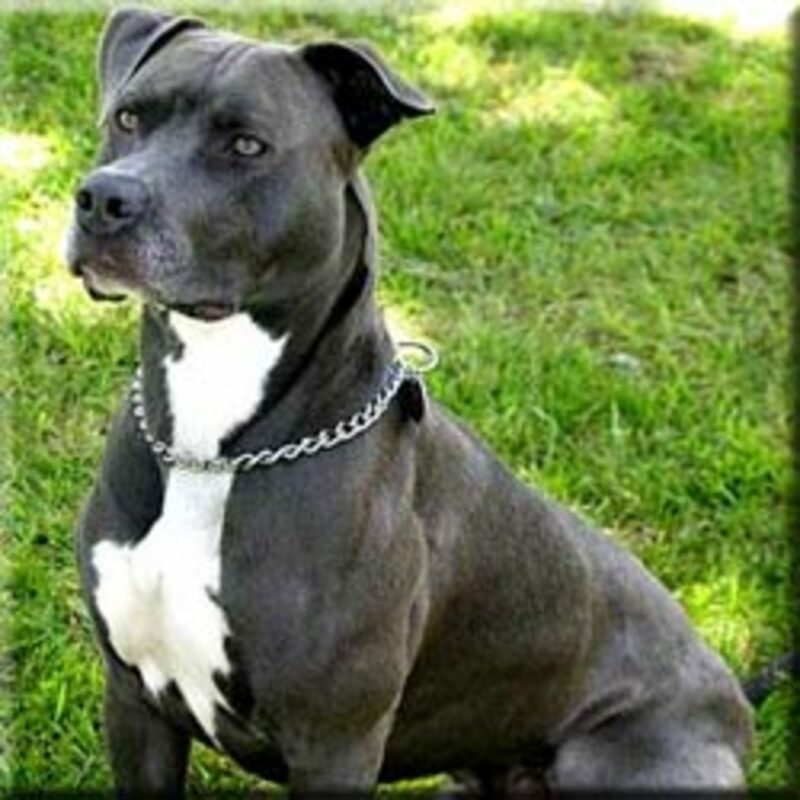 Although this dog breed is being developed to be very large, and to have a calm and non-aggressive personality, the breeders are also focusing on health. Since they are using some large dog breeds like the Great Pyrenees, they may be introducing some health problems, but if they continue to monitor closely they may be able to eliminate a lot of the problems. Since the very large dogs have only been introduced in the last 10 years, it is still early to say if the program is going to work. If things do work out, there will be a great large dog breed available for those looking for a dog with a long life. This is probably one of the few very large dogs with a long life span. Dogs are large, up to 40 kilos (90 pounds) but I have to add “probably” because there are not many health studies that prove the Alaskan Malamute´s longevity. A recent study (2004) from the UK reported that their lifespan was only about 11 years. It is probably more like 15. Most of the studies do show a problem with hip dysplasia, elbow dysplasia, and some problems with the eyes. Alaskan Malamutes are great for several reasons. Besides the long potential life, they are a healthy breed. They have a lot of power and since they are sled dogs need long walks, but, unlike many dogs, they are usually content to sit quietly and wait for their exercise. The Alaskan Malamute is not submissive, and they are not easy to train. Most of them are not good watchdogs, and they are not good with smaller animals, but they are good pets for families that are into big dogs. Besides having a great lifespan, the Doberman is also one of the most intelligent breeds of dog. Dobies are personal protection dogs, bred not just to guard, but to guard an individual. When the psychologist and dog author Stanley Coren interviewed dog breeders and trainers, the Doberman was listed as the 5th most intelligent breed. Some others have ranked the Dobie first, but they all agree they learn new commands quickly. 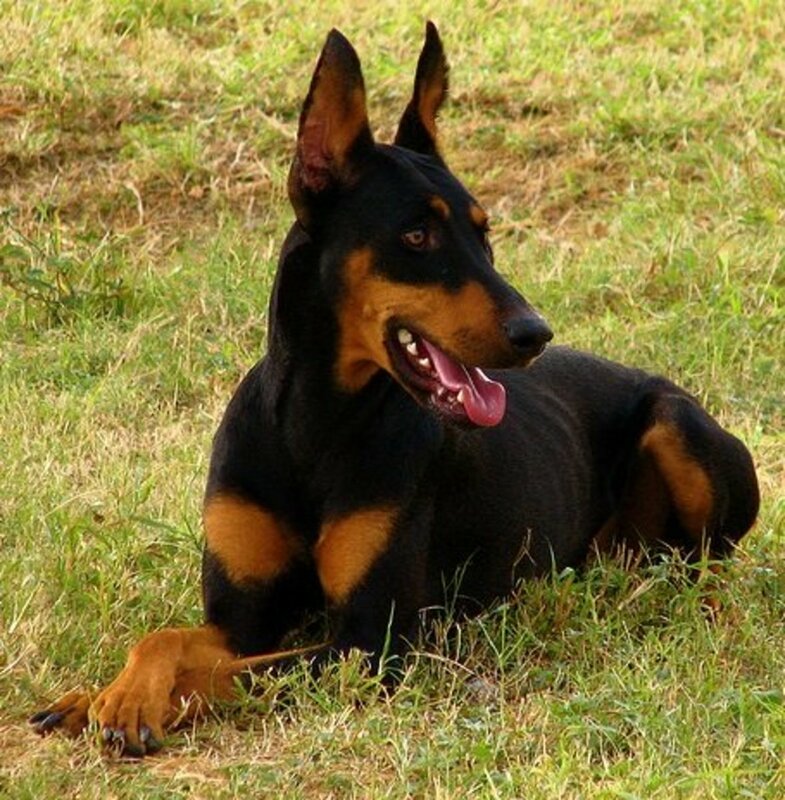 Dobies do have a rough reputation in some circles, since they are bred to look intimidating, but most dogs are bred to be good natured and they are very loyal. Is your Doberman going to live as long as the average Alaskan Malamute? Probably not. 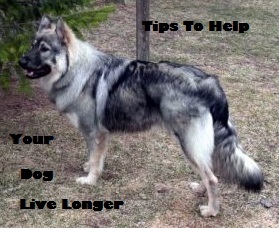 Some of the studies report a shorter life span than what I have listed, and other dogs have serious health problems that cause them to become ill when still young. Dobies are affected by dilative cardiomyopathy, an inherited that causes death in a significant number of dogs. They can also have other genetic diseases like Wobblers, von Willebrand’s, and more common problems like hip dysplasia. If you are interested in one of these great dogs, and willing to socialize and work with him, be sure to select a dog whose parents have been screened for all of those diseases listed. Dobies look tough, but do not select your puppy based on looks. Find a healthy puppy. This powerful dog is not for everyone, but if you are interested the long life expectancy is only one of his good qualities. Dogs weigh up to 70 kilos (150 pounds) but they can be smaller, around 40 kilos; no matter what your dog weighs they look even larger with their thick coats and necks. The breed has been around for thousands of years and was developed to meet the rugged conditions of the Anatolian Plateau of Turkey. They had to be tough enough to guard the flocks from wolves and bears, rugged enough to withstand cold winters and hot summers, and healthy enough to survive on their own. One British study reported that their average lifespan was 11, longer than most breeds this size, but most owners report that dogs live even longer, up to 14. Like all big dogs, they may develop hip dysplasia, so the parents should be screened before breeding. 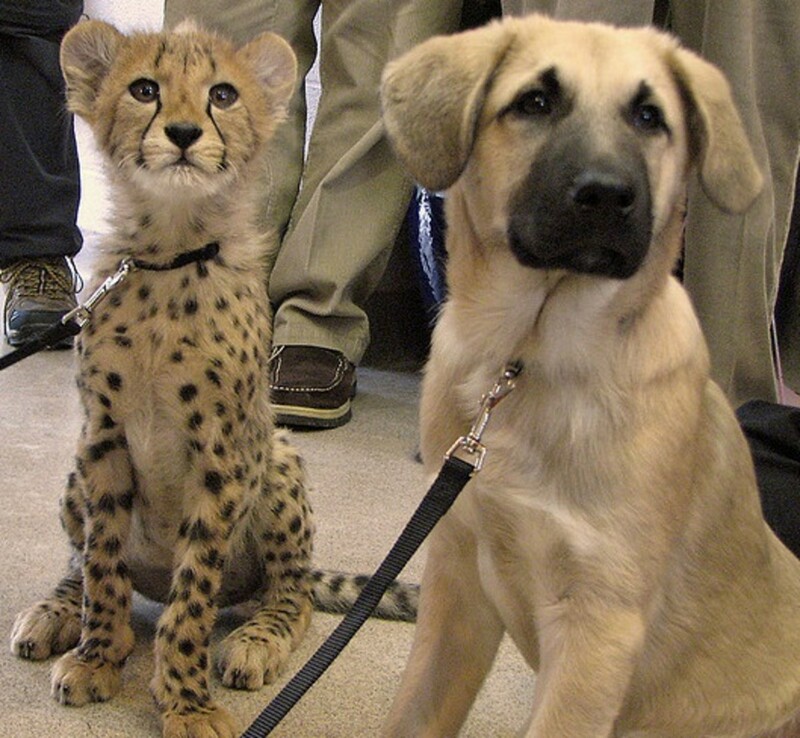 Anatolian Shepherds are used in Africa to protect flocks of sheep and goats from cheetahs. When the cheetahs no longer attack the flocks, the farmers stop hunting them and the big cats return to hunting wild game. This video explains the program. A lot of the evidence on how to keep dogs alive longer is still just anecdotal. That means that it is just what people observe and think is true, and that, unfortunately, does not always mean a whole lot. This is sort of like asking all of the oldest people in a nursing home why they have lived so long. One will tell you it is because he eats a diet of fatty foods, another might say it is because he smokes a cigar every day, another because he always has a glass of milk before bedtime. Why do they live so long? It might just be genetics, but who knows? It is probably not cigars and fatty foods. All we have is a lot of anecdotal evidence. Acquire from a responsible breeder. No matter what breed you decide on, choose a puppy from a breeder who focuses on health. The breeder should have the parent´s hips certified, the eyes examined by an ophthalmologist, and have done screening for any genetic diseases common to the breed of dog you are purchasing. A healthy parent is not a guarantee of a healthy puppy, but a sick parent (carrying genetic diseases) will mean that your puppy will probably live a short and painful life. Feed whole, natural food. There is no proof that diet affects your dog´s life span. I would not want to subject my dogs to the dry dog foods out there, even those that are incredibly expensive and supposedly adequate for their needs, so I feed them whole natural food (a raw diet based on meaty bones). Keep your dog lean. Most veterinarians and human medical doctors agree that lean animals and humans live longer. An obese tiny dog with joint problems may be carried around; that is not going to happen for a large dog. Large, obese dogs that become lame and unable to get around are usually euthanized because the owners are not able to handle them. Provide supplements like fatty acids and antioxidants. Antioxidants may prevent your dog from developing some types of cancer, and fatty acids may provide benefits for the joint and skin. There is still a lot to learn in these areas, but in the meantime you should do what you can for your dog. Deal with any behavioral problems as soon as they occur. Many dogs are taken to the vet to be euthanized because of biting or other severe behavioral problems. Socialize your puppy, take your dog to obedience training, and if there is a problem consult with an animal behaviorist. Take your dog to the vet for twice-yearly physical exams. Your vet might notice a problem early and be able to help you avoid something more serious. If your dog is prone to hip dysplasia, the vet might recommend ramps, hydrotherapy, and a gentle exercise routine to avoid problems. If your dog is becoming overweight, the vet might recommend a new diet before the problem is out of control. More About Dogs . . . Some dogs die too young. 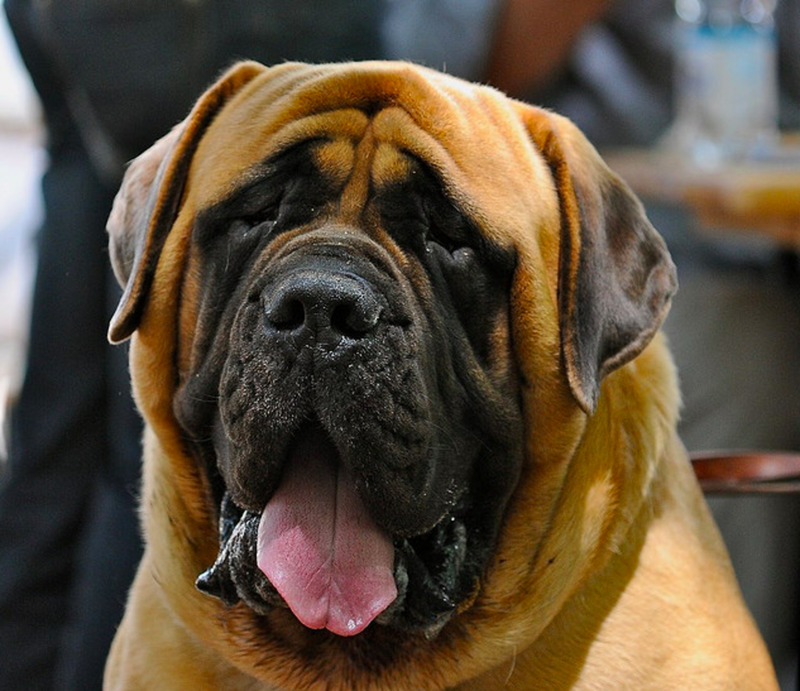 This is a list of five great giant dog breeds that are never around long enough. Are you looking for a small breed of dog that will live a long and healthy life?Photos, videos, and a description of the best five will help you choose a companion for many years to come. Good health is another factor you can use when choosing your new dog. Desriptions and pictures of the healthiest dog breeds, and what you need to look out for, will help you make a good choice. I have a five-year-old Anatolian Shepherd that loses a lot of fur. The vet said that this is normal. Do you have any ideas? To know what is causing your dogs hair loss, I would need to know if it is seasonal, patchy or generalized; whether the dog is itching, has other symptoms, etc. There are a lot of possible causes. If you need more info, read the article at https://pethelpful.com/dogs/causes-and-treatment-o... and leave me a question or comment with more details. 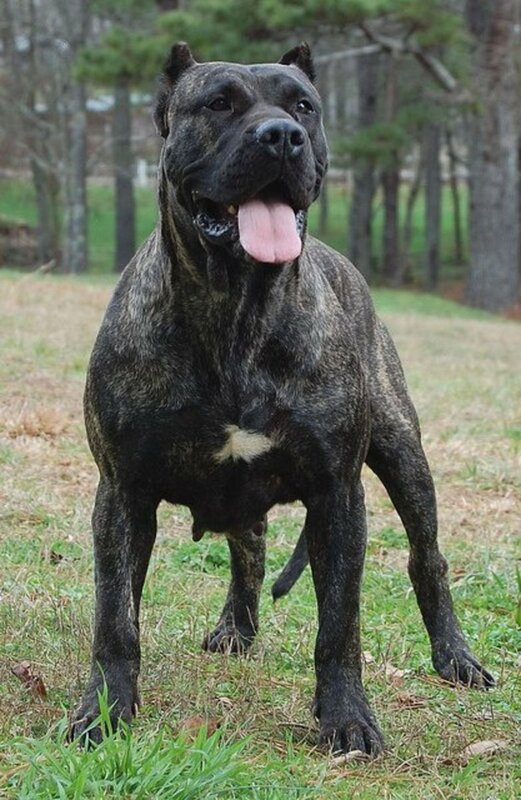 My neighbor lost her bully mastiff today - he was only 6, his sister died last year. She loves big dogs, lives alone and its very hot in the summer. While the breeds you've listed above may fit her needs I'm wondering how they'd do here since most have long or thick coats. Our Golden retriever/possibly samoyed mutt is sweet 16 year old. still enjoys her short daily walks, but has become much less social with other dogs. As a pup she ate a fair amount of fresh tuna, but most of her life she has eaten costco kibble. Up till now no major health issues. A lot of people argue about hybrid vigor in dogs, but I think your mutts show that it does exist. Thanks for contributing. I find it interesting that so far all of my large mutt farm dogs have lived to reach ages of 14, 15 and 16. I wonder if mutts are healthier. This was very interesting. I especially loved this dog: Anatolian Shepherd Looks so beautiful! But lets take this from another tangent. Does cooked food also cause some of the problems? At least horses are able to eat raw, even when locked up for the winter, whereas most dogs fed kibble are subjected to a cooked diet ALL OF THE TIME. I cannot imagine never being able to eat a salad or a piece of fresh food. No wonder so many people in your neck of the woods complain of coprophagia. At least s*** is fresh, which is a lot more than can be said about the stuff poured in their bowls every day. Just sayin´. Probably a lot of dog food nutritionists (those that cash their checks from Purina and Hills) who would disagree with me. The horses around here are only on pasture for about 5 or 6 mos out of the year, Doc, and even then they're still fed commercial grain and supplements in addition. Equine athletes are usually on a stricter commercial diet. But, horse owners around here aren't generally "science majors." They'll try almost any feeding regimen or feeds that someone says they've had good results with, even if it defies convention. In spite of all that, many are still celebrating 30th + birthdays (the horses, that is). Animal husbandry does have its twists and turns, does it not? That is great to hear, tirelesstraveler. Do you know what breed of dog he had? As I mentioned to calculus-geometry, sometimes it is so hard to estimate how things are going to go, especially with a mixed breed dog. He must be doing something right, or maybe just good genetics? Hey Bob, I realize I am stepping on your toes here, but I wonder if that long equine lifespan is due to the fact that horses are still eating a whole and natural diet. If you lock a horse in a pen and feed it grain and commercial feed, it will probably have a much shorter life. Hard to say, of course, since they are usually only treated like that for a few years and then "put out to pasture" where they can live normally. I wonder how much better our dogs would do if we "put them out to pasture" and let them eat a Paleo diet after they became adults? Bat, do they do okay in the Philippines? Where I live in Brazil I know of a few, and they spend most of their time in the air conditioning, panting! A long lifespan, but it does not sound like a lot of fun. They report the wolf lifespan at 16-20 years. If I can find that article I will scan it and send it to your email. A very informative hub. 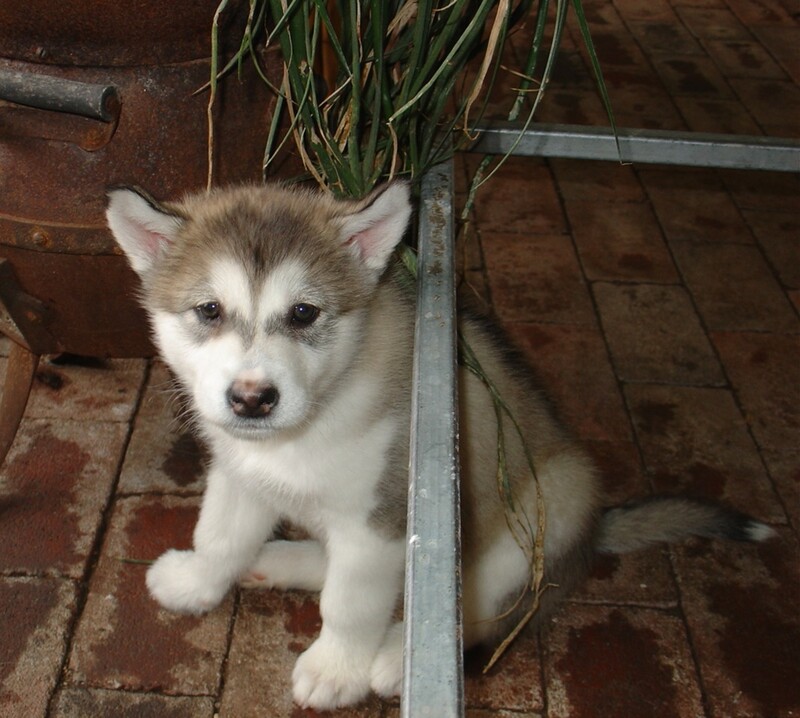 In a tropical country like ours, Alaskan Malamutes are now common. It is really nice to know that they have a long lifespan. Thanks for this hub. Hi Dr. Mark, inspirational article, I'm always worried about my medium-sized dog's age. She's about 14 now. Just one thing, do you have a source for wolves 'easily living to 20'? Everything I've read suggested it's uncommon for wild wolves to live past 10, and captive wolves die around the same age, 12-15 or so. Always thought larger dogs lived shorter lifespans. Good to know that's not true. Just met a man at the dog park whose big active dog was 14. Interesting stuff, Doc! I, too, have wondered why large breed dogs are short lived, while wolves can live 20 years in captivity and elephants can live almost as long as humans. I wonder how long dogs lived 10,000 years ago before we started domesticating them? Although domestication hasn't seemed to have hurt horses, which can live 30-40 years on the farm. Voted up, useful and interesting. The two I have now arent fully grown, still puppies, but I don't think they will get as big as Dragos DrMark. He had a great deal of muscle & moved well, but he was a little over weight. Everyone would tell me it was abnormal for him to be that big, however all the vet visits said he was fine & in good health. Alphadog-- I was just wondering if your dogs are as long as Dragos? How much of that weight do you think was muscle and normal, or do you think he was overweight at all? That is a really heavy GSD! phdast7-- thanks for sharing. I appreciate your reading. calculus-geometry --sorry I cannot give you a real clear answer. There are just too many variables with a mixed breed dog. Even the purebreds have a lot of variability, and one author will report 10 and another 14. I think the best thing is to try and feed the dog a whole diet and follow the other recommendations I listed in the last section of the hub. If your dog is a giant, however, or has a genetic disease like cardiomyopathy or osteosarcoma, none of that is going to help. I am just doing what I can for my own dogs, and hope that they are not struck down young by something I cannot prevent. Audrey--11 and 1/2-and hopefully many more! Like calculus-geometry mentions, maybe the gene mixture is making her more robust. It is hard to know the parent´s lifespan a lot of times, and even then if you follow some improved husbandry methods maybe your mixed breed dog will live longer anyway. My dog Ajej is from a backyard breeder so has none of the genetic screening I recommend, but I do try to walk her two to three times a day, feed her only whole natural food (a paleo diet), and she gets plenty of fiber and vitamins eating coconut almost every day. I train dogs as my hobby, and of course do a physical exam like that recommended in the hub on "DIY physical exam for your dog" at least once a week. If she lives longer than expected I will write a hub about her! Alphadog--Unfortunately GSDs have a short lifespan, and a lot of health problems besides. Dragos probably had a normal lifespan, but I am sure it hurt since it was so short. Be sure to do some reading on the Shiloh Shepherd before you get another dog. 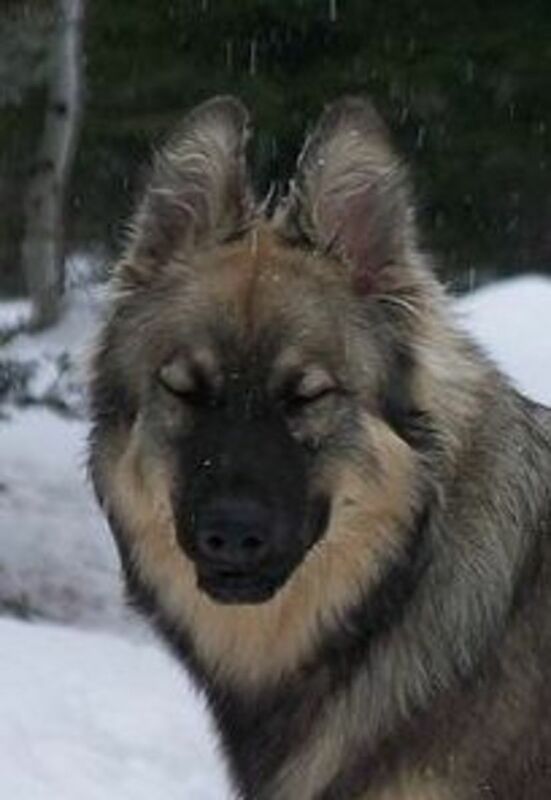 That first dog listed, the American Alsatian, was developed using GSDs and Alaskan Malamutes. They used to be called Shepalutes, but the developers wanted to emphasize that they are a new breed, not just a designer dog, so they chose American Alsatian. I do not know if they have any down as far south as you are, but you can check the listings on the internet. (As far as I know most of the breeders are in Oregon and So. Cal.) I hope you find another "Dragos" that can be with you a long time! 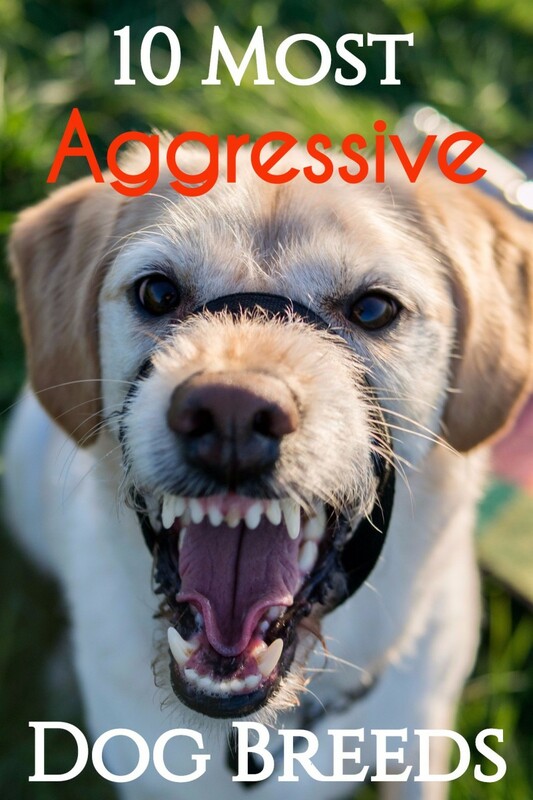 Love your dog articles, this one is really interesting. What life expectancy can you expect from a mixed breed dog? Does the gene mixture make them more robust, or can you expect an average of their parents' life spans? Very interesting and informative hub. Thank you. Sharing. Great hub DrMark. I have 2 second generation German Shepards, Their father named "Dragos" after the huge Russian boxer in the Rocky IV movie, died after only 8 years, I was told from natural causes and possibly from his abnormal size. Dragos was 115 lbs. I didn't think any dogs lived as a long as 15 years. Thumbs up on your hub. Aww--loved this! We have a mutt, shepherd and hound mix of some kind--she is 11 and 1/2 now--and when she chases a squirrel she still looks like a young pup! !